The Holidays are right around the corner! It’s time to take care of the people who we can always count on. It can be difficult to know what to buy a loved one who seems to have everything. We’re here to help with some gift ideas. 1. The Multi-Alarm PLUS is a great gift for a loved one who takes medication daily. There is a pillbox underneath to store medication. This reminder is uber easy to use and affordable too! 2. Gift card for groceries or their favorite restaurant. 3. 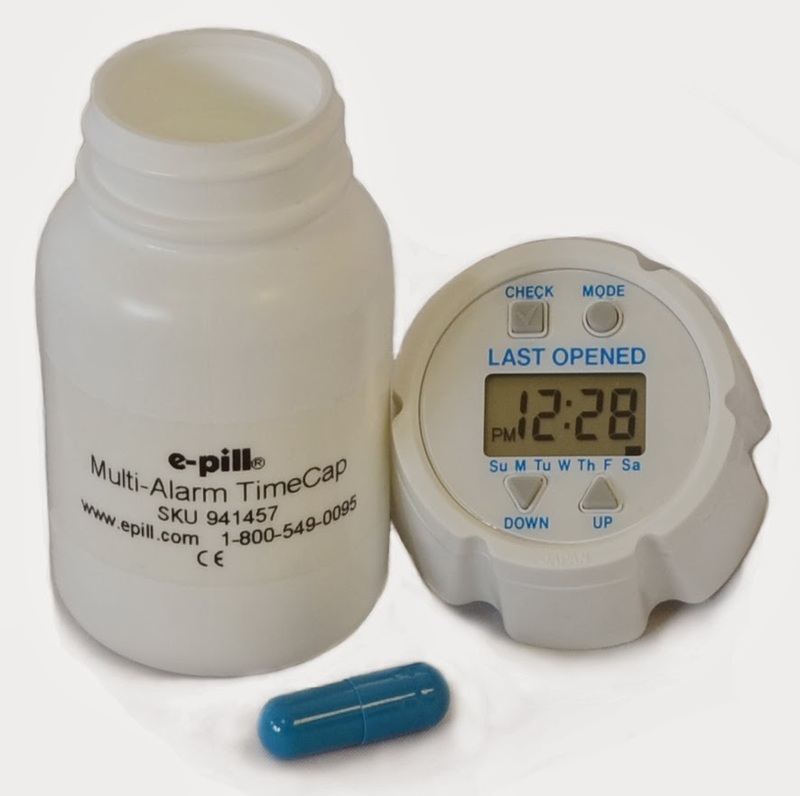 The TimeCap is the perfect pill bottle for a loved one with senior moments. The cap has a censor which tells you when the bottle was last opened. The cap also has an alarm that can be set on the hour! 4. Donation to their favorite charity. When someone has everything sometimes the best gift to give is to help those in need. 5. Our 4 Alarm Vibrating Pill Box is a great gift for a loved one who takes medication at home or on the go. This product has vibration, sound or both which is great for those who may be hearing impaired. 6. Cleaning service. Who wouldn’t want someone to come and help keep the house tidy? 7. Gift baskets can be customized to your loved one’s interests. These are sentimental and personal. Can you sell medication reminders with a funny cartoon? Click the link below and let us know what you think!